A big part of visiting a new country, is trying all the different foods and Portugal has plenty of great foods that you should try. Portugal also has a few weird dishes as well, including dishes that are cooked in blood, dishes containing less-than-appealing animal parts, and a very unusual Christmas cake that’s shaped like a fish. If you’ve worked your way through all of Portugal’s best dishes then it’s time to try some of Portugal’s weirdest dishes. 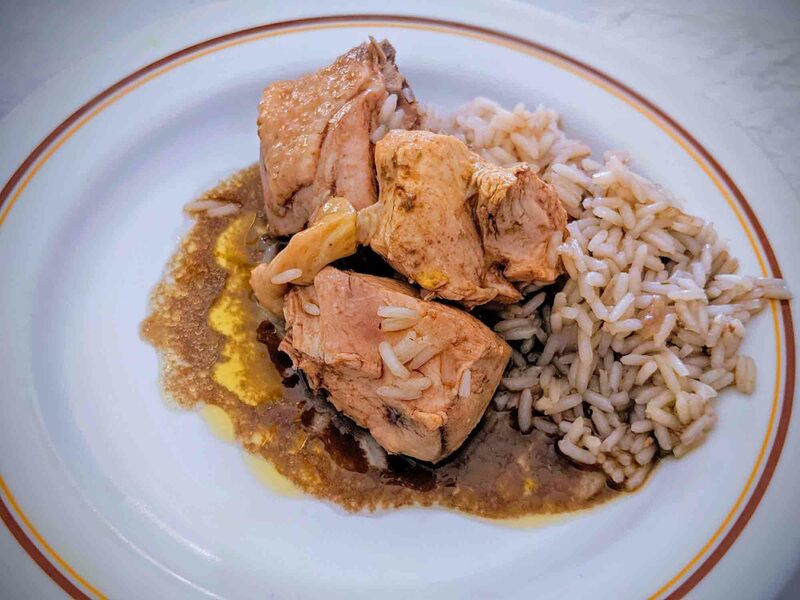 Cabidela (sometimes called arroz de Cabidela) is a dish that’s typical in the North of Portugal, although you can find it in traditional restaurants throughout the country. It’s a type of rice stew that’s normally made from chicken or rabbit. After the animal is killed, it’s normally hung above the pot and the blood is used to make the stock. It’s quite a rich dish, but the sauce normally contains vinegar which gives it a slightly sour taste. Mão de vaca com grão means cow’s hand (or hoof) with chickpeas. Cow hoof isn’t something that a lot of us normally eat, which makes this an unusual dish for a lot of people visiting Portugal. The dish may originate from Angola, where it was adopted by Portuguese explorers. It was later introduced into Brazilian cuisine, with some changes, and is known as Mocotó. 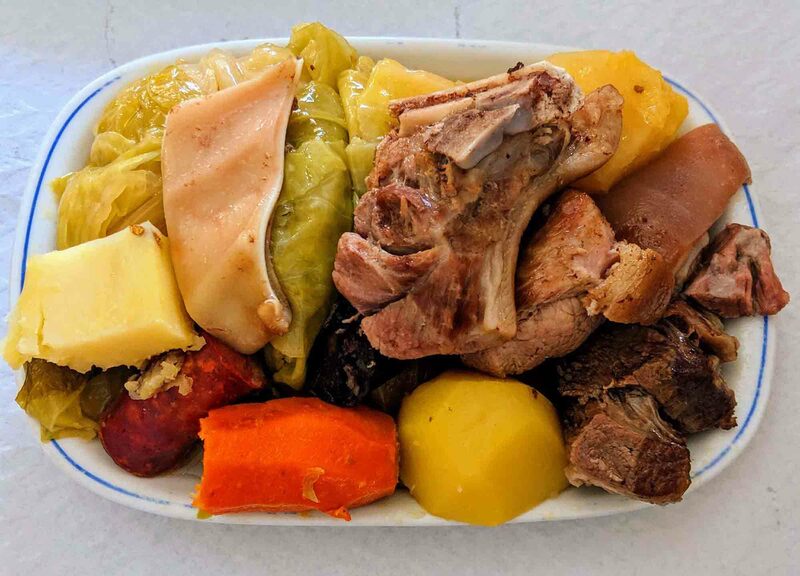 Mão de vaca com grão is mainly associated with the Ribatejo Province, although you’ll find it on very traditional menus throughout the country, as well as in the Azores where it’s served with potatoes. It looks and tastes a lot like Dobrada, but feel free to try them both if you’re curious. Normally the omelette is the safest and plainest thing that you can eat in a foreign country, but that’s definitely not the case when it comes to Omelete de Mioleira. This omelette is made from brains, so it’s definitely not for everyone. 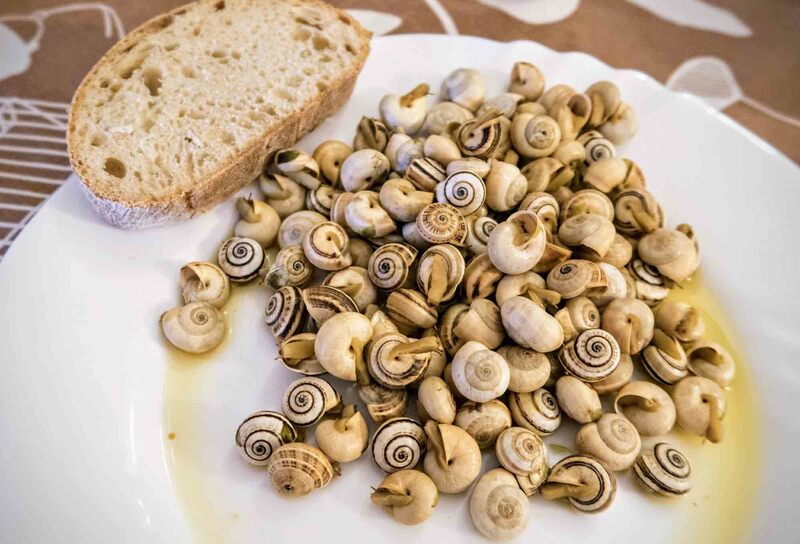 Eating snails may or may not seem strange to you: it depends where you’re from. To the French it’s not very unusual, but it might be considered strange if you come from somewhere else. Eating caracóis is very popular in Portugal, particularly in more rural parts of Portugal. They’re seasonal, so you won’t be able to find them throughout the year. The season varies, but they’re normally available from May until September. You’ll know when they’re available, though: when it’s caracóis season, you’ll see signs saying “Há caracóis” at cafés throughout Portugal. 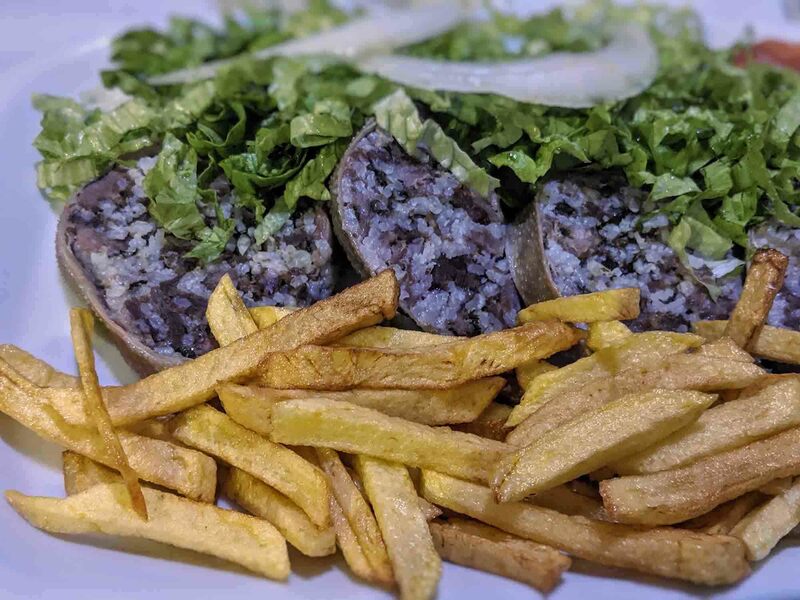 Tripas à moda do Porto is a dish that comes from Porto, and is so associated with Porto that the people there are often jokingly referred to as ‘Tripas’ (tripes). Aside from the idea of eating stomach, the biggest problem people have with tripe is the texture. If you can get past that, however, you may be able to stomach Porto’s favourite dish. Dobrada or Dobradinha is a tripe dish that originates from Northern Portugal, and is common in both Portugal and Brazil. It’s a stew that normally comes with white beans and other vegetables like carrots, and it’s often served with rice as well. 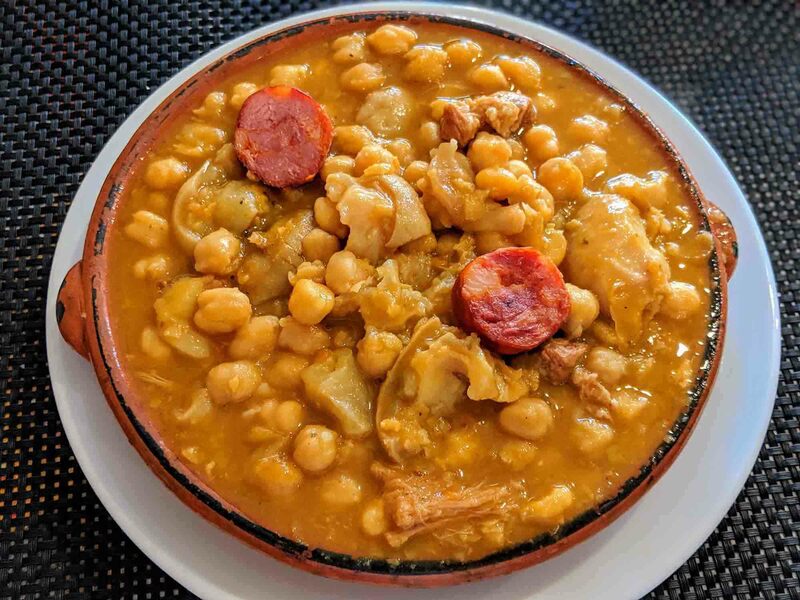 It’s a similar dish to Tripas à moda do Porto, and both use the cow’s stomach and contain white beans and rice, but it’s a slightly different dish. Maranho (sometimes called Maranho da Sertã) is a dish that originates from Sertã in the Beira Baixa region. It’s made from goat meat, rice, ham, wine, and herbs and spices, which are packed into a goat’s stomach and cooked. It’s a very similar concept to haggis but, unlike most modern haggis, it actually still uses the goat’s stomach for the lining rather than an artificial casing. 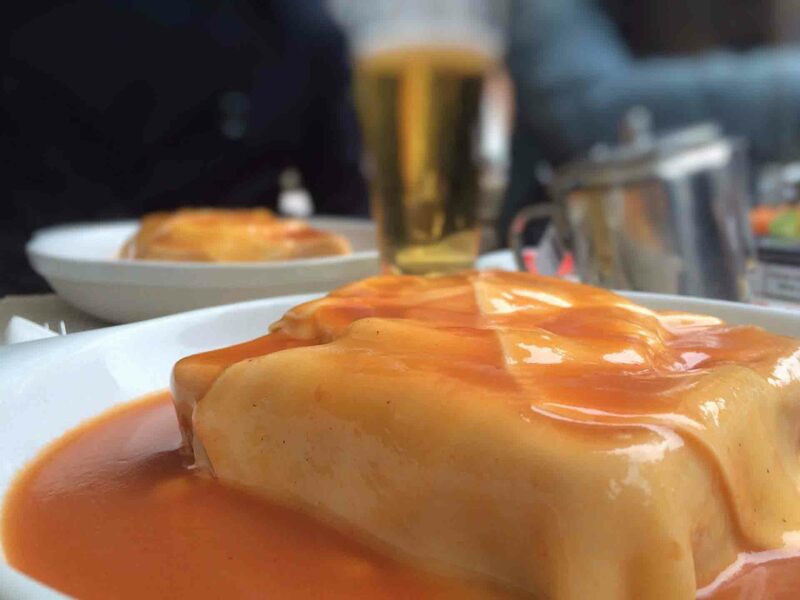 The francesinha is a strange dish, but not for the same reason as many of the other dishes on this list. It doesn’t contain guts, stomach, ears, or anything like that. In fact, it’s just a sandwich. Well, almost. The origins of the francesinha are a little vague but, according to one of the most popular theories, the sandwich was created by a Portuguese man named Daniel da Silva. Da Silva had been living in France, and wanted to recreate the croque-monsieur. He felt that it needed a few improvements, though, especially if it was going to cater to Portuguese tastes. The croque-monsieur is a ham and cheese sandwich but, by the time da Silva was finished creating his sandwich, it contained ham, sausage, steak, and melted cheese. It was also served with fries and covered in a beer and tomato sauce. Some people say it’s a monstrosity, others say it’s a culinary masterpiece. It’s certainly a unique sandwich, but one that the people of Porto love. If you’re visiting Porto and are looking for something weird to eat, but can’t quite face the idea of Tripas à moda do Porto, this is a good dish to order. According to the Portuguese, there are more than 365 ways to cook bacalhau. Some recipes are better than others, but almost all are pretty tasty. Except for one. Bacalhau à Zé do Pipo is the strangest bacalhau recipe there is, but it’s one that Portuguese people (especially older Portuguese people) love. It’s made up of layers and baked in the oven: a layer of bacalhau, followed by a layer of mashed potatoes, followed by a layer of mayonnaise. Yes, the mayonnaise is baked in the oven. It obviously comes from a time when cooking with mayonnaise was seen as the height of sophistication, which explains why it’s so much more popular with the older Portuguese generations. A lot of the other dishes on this list actually taste nice, even if they’re made from unusual ingredients. Bacalhau à Zé do Pipo unfortunately isn’t one of those dishes: there’s something that’s just not quite right about warm mayonnaise, and this dish has a lot of it. Línguas de Bacalhau means cod tongues, and the first question everyone asks is: Can you actually eat a cod’s tongue? Well, apparently you can. Cod tongue is often served as a rice dish (arroz de línguas de bacalhau), and they’re also served with chickpeas or beans, in soups and stews, or just fried. Think salad and your mind will probably think of lettuce, tomatoes, and other vegetables, maybe with some grilled chicken or cheese thrown in. This salad is slightly different as it’s made from pig ears. The ears are boiled and then chopped up, before being mixed with olive oil, vinegar, garlic, and coriander (cilantro). It’s quite a chewy salad, and probably not the best one for losing weight with. 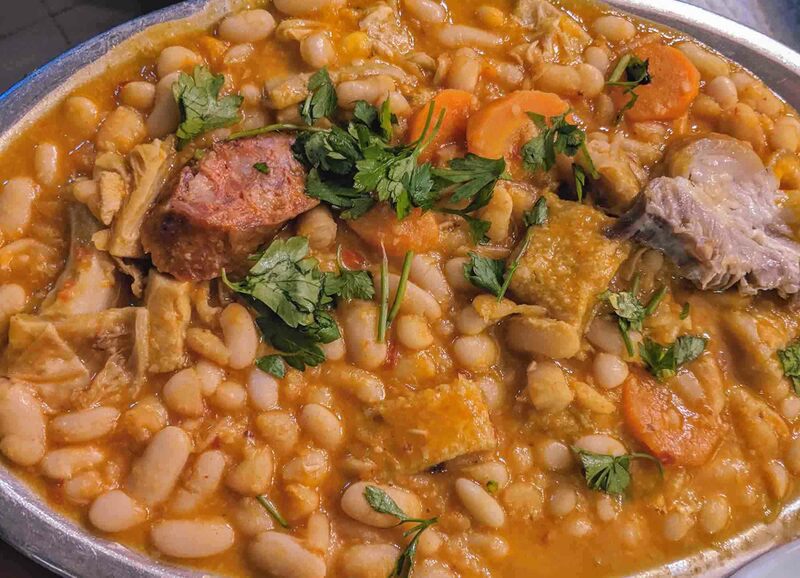 Cozido à Portuguesa is a stew where just about anything can end up in it, from an ear to a trotter, but it can also contain fairly normal cuts of meat as well. It really depends on who’s cooking it, and just how traditional they want to go. As well as pig bits, it also includes plenty of vegetables like beans, potatoes, turnips, cabbage, and carrots. Courato is pig skin that’s often flavoured with garlic, white wine, and bay leaves, then fried or grilled and served in a sandwich. It’s normally served with a cold beer, and normally only ordered after you’ve had several beers as well. A lot of dishes on this list are strange simply because they contain a part of the animal that we no longer eat like the stomach, ears, or feet. 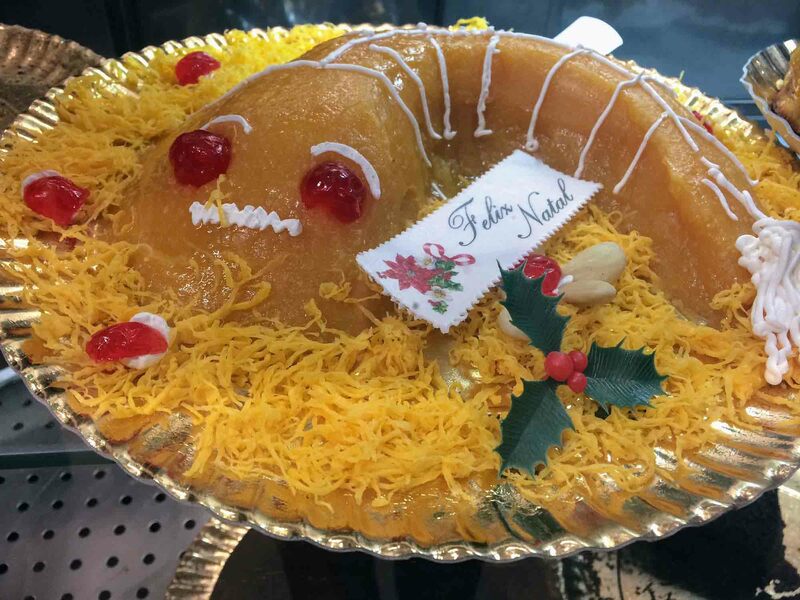 Lampreia de natal is a cake that contains no unusual animal parts but, you’ll have to admit, is pretty strange. It’s a cake made entirely from egg yolks and sugar that’s designed to look like a laprey fish. Nobody really knows why this is, or what it has to do with Christmas as it isn’t even lamprey season in Portugal. It’s just something that’s a little peculiar, but worth looking out for if you’re visiting Portugal at Christmas time.